We urgently need volunteers to help translate some English text into French. Proficiency in French is a must, and familiarity with African French is a plus. Here is a short explanation of the task. We decided to translate the French-language edition of Where There Is No Doctor that is published by ENDA in Senegal. There were two reasons for this: 1) Our translators are more fluent in French, and 2) this edition has already been adapted for a West African context. The US-based publisher, Hesperian Health Guides does a substantial revision of the English and Spanish versions of the book every year to fix errors and to keep pace with changing medical practices, new medicines, recommended dosages, etc. 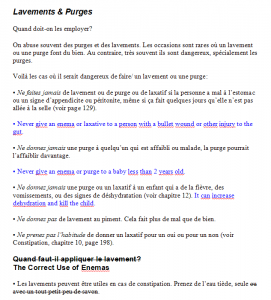 Even though the French-language edition is the “5ème réimpression de la 3ème édition augmentée et corrigée,” it has not been updated as thoroughly as the English edition. For example, over the last decade, information about HIV and AIDS has been added to many chapters of the English text. Our team of volunteers is carefully reviewing the French text and marking where new text should be inserted. This work is painstaking and slow but extremely important. 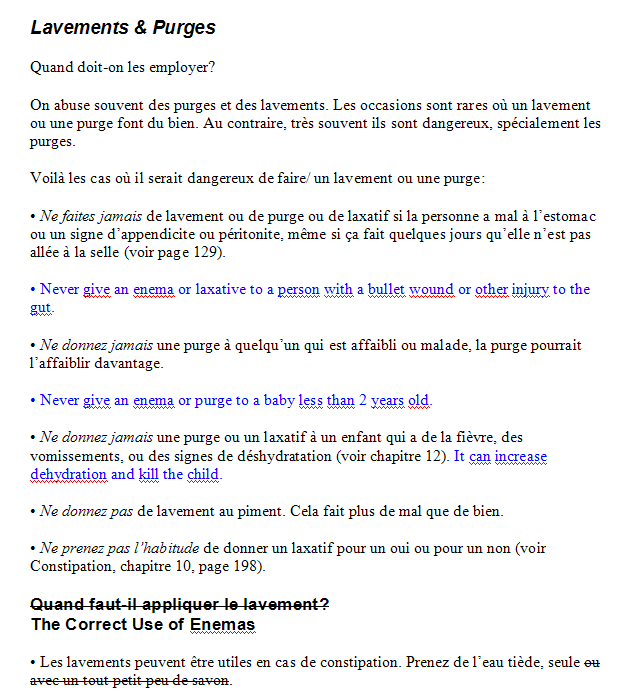 Several of us read French well enough to mark the changes, but need someone who is more fluent in French to translate. If you or someone you know can help us with this, please be in touch! Contact translation coordinator Matthew Heberger.